We preserve our heritage at the Conservatoire in Aulnay-sous-Bois, outside Paris. You'll find more than 400 beautifully preserved vehicles from throughout the years, a diverse array of artefacts and archives packed with historic information. 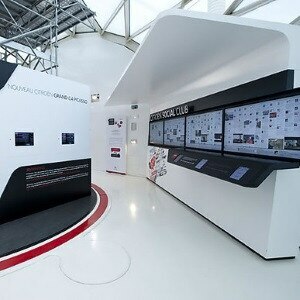 The Citroën Conservatoire heritage centre is a real treasure trove of all things relating to our prestigious brand. It houses the world's largest collection of Citroën vehicles, with more than 400 on show - and most are in perfect condition. 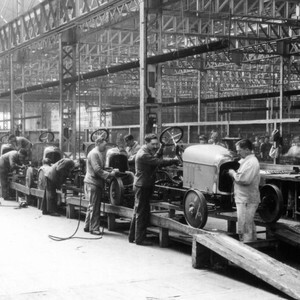 The pre-war vehicles were part of the birth of the Citroën brand. The Conservatoire has many pre-war vehicles, from the Type A to the Traction Avant, via the B10, C4, C6 or Rosalie. Step back in time and discover the technologies and innovations that have always kept us one step ahead. The Conservatoire not only has the first models produced by André Citroën, it also houses lots of post-war vehicles. And some have earned a place in our collective memory: the quirky 2CV, the beautiful DS, the luxurious SM coupé, and rare versions of more recent vehicles. Rediscover the models and innovative technologies that gave the Citroën brand international appeal. Commercial vehicles are also centre stage, and the Conservatoire houses several unique models. The collection includes the last example of the renowned Type H van, with its ribbed bodywork, built at the Aulnay-sous-Bois plant in 1981, marking the end of a career that began in 1947. Sport and adventure are written into Citroën’s DNA, with the Croisière Jaune and Croisière Noire expeditions, the rally-raids, the World Rally Championship and – more recently – the brand's involvement in the World Touring Car Championship. At the Conservatoire, you can step on board a C4 half-track, travel back in time with the 2CV Cross or start up a ZX from the 1992 Moscow-Beijing rally raid. The Citroën Conservatoire is also home to some especially unusual vehicles, either because of their history or their characteristics. Here's a taster of what you could discover. Did you know that Citroën gave the chevron stamp to tyre wheels with the Type J? That in the 1970s the brand developed a two-seater helicopter? And do you know the story behind the special version of the DS with a built-in safe? 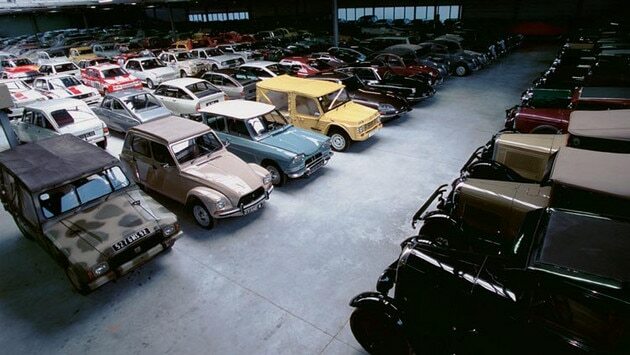 The Citroën Conservatoire doesn't simply collect and restore vehicles. 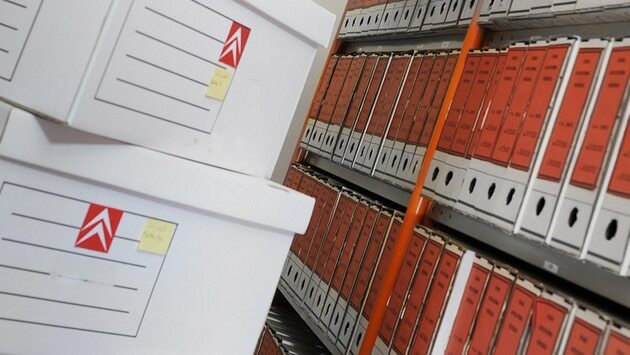 It also houses another treasure trove: our archives.